Carl E. Van Horn, Ph.D.
Carl Van Horn is a widely recognized expert on workforce, human resources, and employment policy issues with extensive experience in public and private sector policymaking. Van Horn is the founding director of the Heldrich Center for Workforce Development, one of the nation’s leading academic centers on workforce policy and practice. Van Horn is Distinguished Professor of Public Policy at the Edward J. Bloustein School of Planning and Public Policy. He is an elected Fellow of the National Academy of Public Administration. Since 2013, he has been a Visiting, Non-Resident, Scholar with the Federal Reserve Bank of Atlanta. He is also Senior Advisor for Strategy and Planning in the Office of New Jersey Governor Phil Murphy. At Rutgers, Van Horn is a member of the university’s graduate faculties of planning and public policy, education, management and labor relations, and political science. 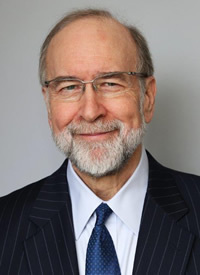 Van Horn is the author or editor of 18 books and over 150 scholarly articles and reports on American public policy and the American labor market including Working Scared (Or not at All, (2014); Transforming U.S. Workforce Development Policies for the 21st Century (2015); and Investing in America’s Workforce (2018). He is frequently sought by national media for his views on labor, workforce, and economic issues. Van Horn has held several senior level policymaking positions in government and universities including Chair of the Board of Directors of the New Jersey Economic Development Authority, Director of Policy for the State of New Jersey, and Senior Economist at the Joint Economic Committee of the U.S. Congress. He was appointed by President Clinton to a Presidential Emergency Board that mediated a contract between labor and management in the railroad industry. Van Horn has advised and consulted with a myriad of public and private organizations on human resources, training, education, and management issues, including the U.S. Departments of Labor and Education and the National Science Foundation. Additional public service appointments include membership on the New Jersey Commission on Science and Technology, the New Jersey Transit Board, the Amtrak Reform Commission of the U.S. House of Representative. He also chaired the New Jersey Property Tax Convention Task Force and was Vice- Chair of New Jersey Governor-elect Jon S. Corzine’s transition. Since 1998, Van Horn has served as Neutral Trustee for the United Mine Workers combined health funds. He has been a member of the New Brunswick Cultural Center Board of Directors since 2002. In 2005, he was awarded an honorary Doctorate of Public Service by Muskingum College. In 2008, he was appointed a Research Fellow at the Sloan Center on Aging and Work at Boston College. He earned a B.A. in Honors Political Science and Sociology from the University of Pittsburgh and a Ph.D. in Political Science/Public Policy from Ohio State University. 2018: Van Horn, Carl. “Long-term Unemployment in the United States,” in The Cambridge Handbook of Social Problems, Edited by A. Javier Trevino, (Cambridge, MA: Cambridge University Press,) 2017. With Ofer Sharone and David Blustein. Institute for Employment Research ) With Todd Greene and Tammy Edwards.